Get ready for a full day of sightseeing on the next day: kick back and relax at Tamarindo Beach, then identify plant and animal life at Monkey Park, and then get a new perspective on things with Boat Tours & Water Sports. For reviews, more things to do, other places to visit, and other tourist information, refer to the Tamarindo trip planner. 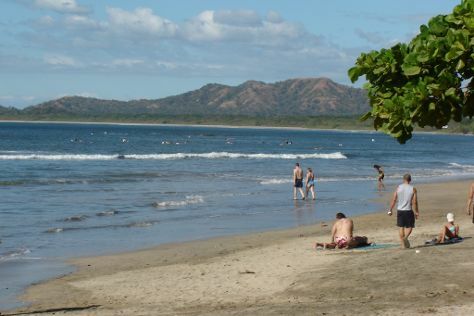 Houston, USA to Tamarindo is an approximately 10-hour combination of flight and bus. You can also do a combination of flight and shuttle; or drive. Wrap up your sightseeing on the 30th (Sun) early enough to drive to Monteverde. 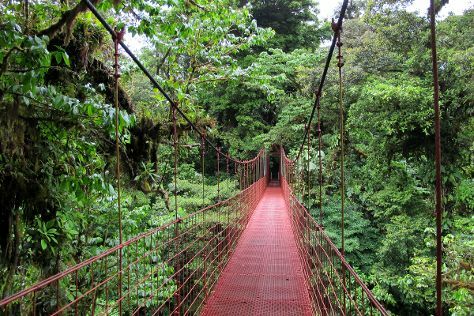 Get in touch with nature at Monteverde Cloud Forest Biological Reserve and Monteverde Frog Pond. You'll visit kid-friendly attractions like Ecological Sanctuary and Curi Cancha Reserve. And it doesn't end there: kick your exploration up a notch at some of the top local zipline courses and adventure parks, take in the exciting artwork at Arte Jaguar Gallery, shop like a local with Art House, and get engrossed in the history at Monteverde Chorotega Arts & Crafts. Use Inspirock's suggestions to plan your Monteverde trip and find the best activities and attractions for your vacation. You can drive from Tamarindo to Monteverde in 3.5 hours. Alternatively, you can take a bus; or take a shuttle. 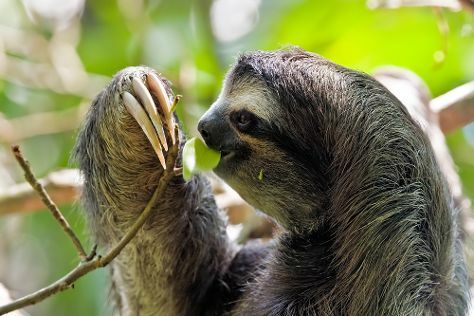 Wrap up your sightseeing on the 3rd (Wed) early enough to drive to Manuel Antonio. On the 4th (Thu), relax and float downstream with a rafting and tubing tour and then tour the pleasant surroundings at Playa Manuel Antonio. On the 5th (Fri), you'll have a packed day of sightseeing: get a new perspective on things with Boat Tours & Water Sports. For other places to visit, photos, traveler tips, and more tourist information, read our Manuel Antonio online trip builder . Traveling by car from Monteverde to Manuel Antonio takes 4 hours. Alternatively, you can do a combination of shuttle and bus; or take a bus. Finish your sightseeing early on the 5th (Fri) so you can drive to La Fortuna de San Carlos. 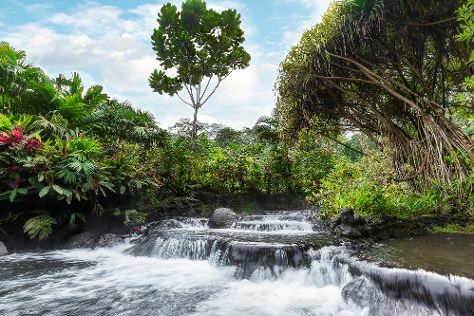 Get in touch with nature at Arenal Volcano (Volcan Arenal) and Tabacon Hot Springs. Satisfy your inner culture vulture at Onirica Art Gallery and Iglesia de La Fortuna de San Carlos. There's lots more to do: get interesting insight from Tours, let the river carry you with a rafting and tubing tour, take a pleasant ride with a tour on horseback, and identify plant and animal life at Proyecto Asis. To see where to stay, ratings, and tourist information, refer to the La Fortuna de San Carlos visit planner. Traveling by car from Manuel Antonio to La Fortuna de San Carlos takes 4.5 hours. Alternatively, you can take a shuttle; or take a bus. Wrap up your sightseeing on the 9th (Tue) to allow time to drive to Puerto Viejo de Talamanca. On the 10th (Wed), explore the wealth of natural beauty at Cahuita National Park and then have some family-friendly fun at Yesland Mini Golf. Get ready for a full day of sightseeing on the 11th (Thu): stroll through Puerto Viejo Beach and then admire the natural beauty at Finca La Isla. To see reviews, photos, other places to visit, and tourist information, go to the Puerto Viejo de Talamanca trip itinerary builder website . Traveling by car from La Fortuna de San Carlos to Puerto Viejo de Talamanca takes 5 hours. Alternatively, you can do a combination of car and bus; or take a bus. Finish up your sightseeing early on the 11th (Thu) so you can catcht the bus to San Jose. Start off your visit on the 12th (Fri): take in the architecture and atmosphere at Iglesia La Soledad, take in the exciting artwork at Galeria Namu, then take an in-depth tour of Jade Museum, then take an in-depth tour of National Museum (Museo Nacional), and finally explore the world behind art at Precolumbian Gold Museum. Get ready for a full day of sightseeing on the 13th (Sat): explore the world behind art at Museo de Arte Costarricense and then contemplate the long history of Our Lady of the Angels Basilica (Basilica de Nuestra Senora de Los Angeles). To see other places to visit, ratings, reviews, and other tourist information, go to the San Jose trip planner . You can take a bus from Puerto Viejo de Talamanca to San Jose in 3.5 hours. Alternatively, you can drive; or take a shuttle. In July, daytime highs in San Jose are 80°F, while nighttime lows are 67°F. Finish your sightseeing early on the 13th (Sat) to allow enough time to travel back home.